The former apostolic vicar of Benghazi, Bishop Silvestru Magro, died early on Saturday. He was 76. 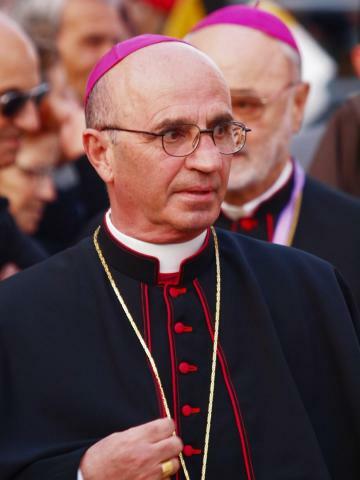 Born in Rabat, Bishop Magro was ordained priest in 1966 and Bishop in 1997. He is the third Maltese bishop who has served abroad to die this year following Adeodatus Francis Micallef on January 3 and Emanuel Barbara on January 5. Bishop Magro only returned to Malta from Libya in August 2014 in one of the last flights organised by the government. During the revolts, he had opted to stay with his flock in the north African country. A few days earlier, he had told the Times of Malta he had spent the last two weeks largely locked up inside at the Catholic Church’s compound in Benghazi. He had faced similar circumstances in 2011, when the city was being pounded by forces of the Libyan regime.